Chan (or Cha:n) is a tiny new Korean fusion place in the courtyard of the Inn at the Market. The restaurant comes from Heong Soon Park, owner of the adjacent Italian bistro Bacco. Pretty much everything about Chan is tiny: the space is tiny (38 seats), the bar is tinier, and the food is served in small plates. 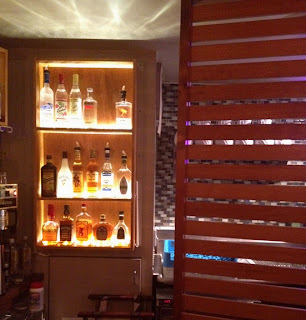 The bar has a couple interesting offerings, incorporating soju, but the selection of spirits is, again, tiny. I did not eat on this visit, and some foodies have complained that the offerings tend to be a bit more bland that traditional Korean, but it seems like a nice place to sample a good number of Korean-based dishes that at least looked good to me.